Ayurveda has always promoted healthy foods and when it comes to embracing the benefits of Ayurveda, watching what you eat is possibly the best way to start. Ayurveda says that food eaten should have at least one of six tastes: sweet, sour, salty, bitter, pungent and astringent. The right foods promote sattva (purity), detox the body, and rejuvenate it as well, leading to an overall increase in immunity, physical and mental strength, and digestion. So say goodbye to temporary crash diets, and instead consume the Ayurvedic superfoods listed below.The best part is that they are easily available! 1. Ginger: Ginger is a well-recognised anti inflammatory that stimulates appetite, and reduces intestinal pain, gas and bloating. 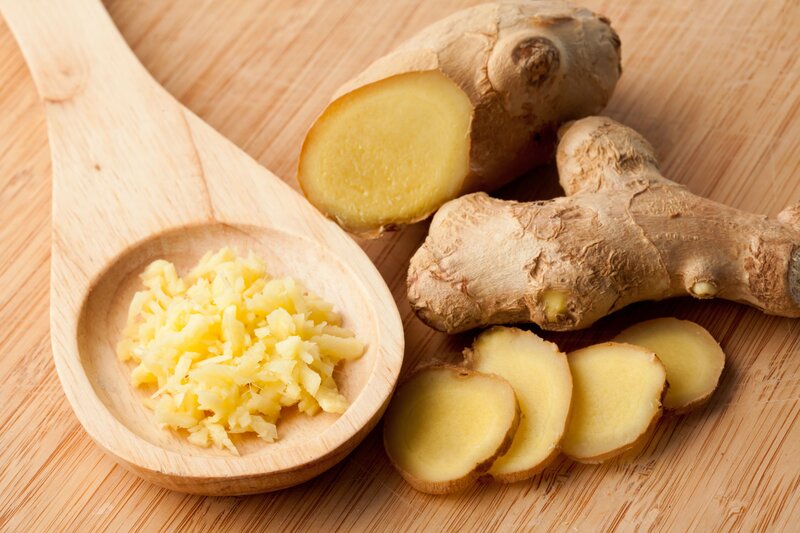 In Ayurveda, fresh ginger is used to battle nausea, especially pregnancy-induced vomiting. Dried ginger root works well on joint pains (mix with almond oil and rub on painful areas), as well as migraines, and helps lower cholesterol level. 2. Ashwagandha Root (Indian ginseng): Chyawanprash, an integral component of every Indian’s childhood, contains this super-food along with 39 other essential herbs. Ashwagandha is popularly used in Ayurveda for fighting stress, anxiety and fatigue. Also used to relieve painful swelling or rheumatoid arthritis . Ashwangandha is also considered beneficial for increasing sperm count in men. 3. Amla: Popularly known as the Indian gooseberry, this fruit has carved its own niche due to its powerful antioxidant properties. It also works as a digestive tonic, cleansing the colon, and removes excess heat from the body. Apart from being a rich source of natural Vitamin C and calcium, Amla is also known for its anti-ageing properties. Amla oil is directly applied to the hair as it fights dandruff. Leading Ayurvedic Hospitals use these superfoods in various forms to produce medicines as well as direct usage. Look out for part 2 of the series, with more superfoods.